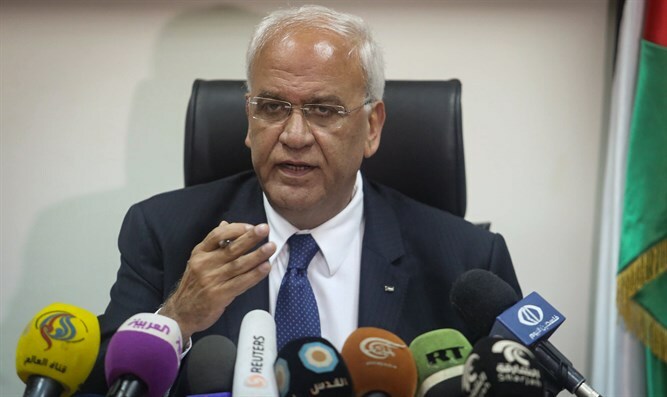 PLO official blasts approval of new construction in Judea and Samaria, says it is encouraged by the United States. Earlier on Thursday, the European Union (EU) released a sharply-worded statement criticizing Israel over the approval of the construction. "Within the past two weeks the Israeli authorities have advanced plans and tenders for over two thousand settlement units in the West Bank including East Jerusalem. If implemented, these plans would further jeopardize the prospect of a contiguous and viable future Palestinian state," said the EU. "The EU is strongly opposed to Israel's settlement policy which is illegal under international law and an obstacle to peace," continued the statement, adding that the diplomatic body "will continue to engage with both parties and with its international and regional partners to support a resumption of a meaningful process towards a negotiated two-state solution, the only realistic and viable way to fulfil the legitimate aspirations of both parties".